Barcelona will not change their pricing policy for visiting supporters for April’s Champions League second leg against Manchester United, a club spokesman confirmed to ESPN FC. 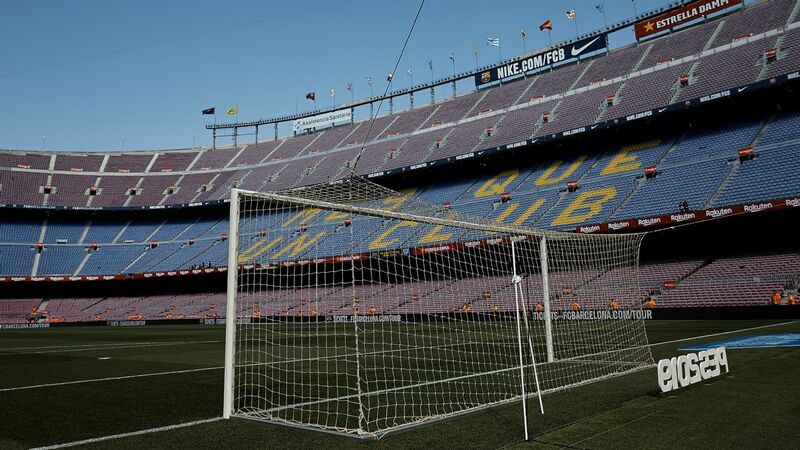 United said on Wednesday that their fans are being subjected to “increased/excessive ticket prices” for the quarterfinal return match at Camp Nou on April 16. “The prices are the same for the [Man Utd] fans and for our own supporters,” a spokesman said. “The pricing policy is in keeping with recent knockout games against Lyon and Roma in the last year. “It doesn’t matter if it’s Man United, Juventus or Lyon — these are the prices for everyone attending the game — not including season ticket holders who have all three competitions [La Liga, the Champions League and the Copa del Rey] included in the prices they pay each year. United made a similar complaint when they played Sevilla last season. On that occasion, the La Liga side ended up reducing the cost of tickets for visiting supporters. United fans were also unhappy about ticket prices at the Mestalla, when they travelled to face Valencia in this season’s group stage. Anderlecht were charged recently by UEFA for a ticket price increase when Bayern Munich visited last season. The Belgian side breached Article 19 (3) of UEFA’s safety and security regulations by increasing prices. But Barca don’t believe they will be subject to similar treatment because they are not charging United fans more than anyone else. A Manchester United Supporters Trust spokesperson told ESPN FC: “Time and time again Manchester United’s travelling supporters have been ripped off in Europe by the greed of home clubs. “While our own club has got better at fighting our corner, and indeed has ensured the price our fans will pay in Barcelona is no longer £102, it is time for UEFA to intervene and stop exploiting away fans who’ve often already paid a fortune to get to the game. “Barcelona charging us member prices for away tickets would have not cost them much at all — certainly compared to [Lionel] Messi’s wages. A spokesperson for UEFA said: “We do not have any updated statement or comment to make regarding this topic at this stage. In December, Ceferin said UEFA was aware of the problem and that European football’s governing body would look into capping prices.